A perfect solution for auto dealerships which are selling new or used cars. 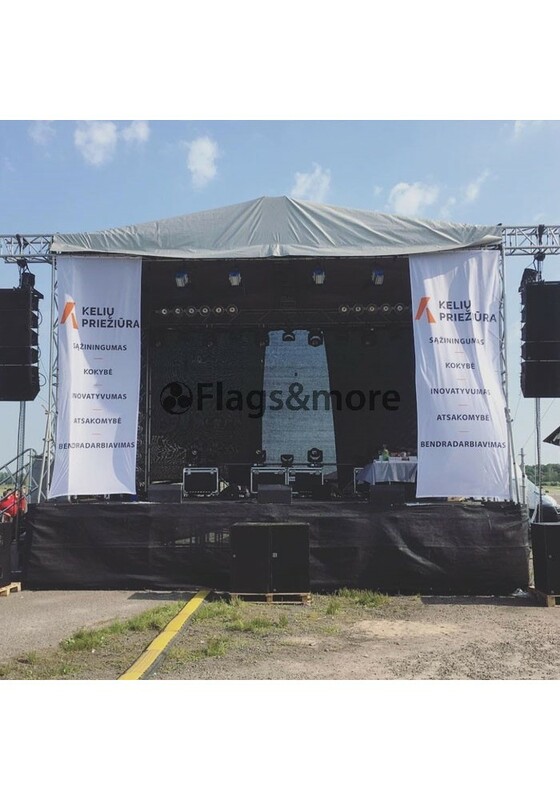 Also a great solution for events sponsored by different car brands. Such beach flags will help you to stand out from your competitors and draw additional attention from the possible buyers. Effectiveness guaranteed! Colourful designs which helps to save your time and money and draw so needed attention outside our store. It is a perfect for a new businesses or the ones which try to increase the foot traffic inside shop. It is a must for your outdoor advertising! Vertical flag - a great way to represent your company or product. It is a classic representative and promotional tool. Perfect for businesses, organizations, brands, festivals and more. Due to the low price and good quality, it is one of the most popular promotional tools. Please click the block below or the black circle symbol with "i" to choose an available size and go through a combinations. Need a custom size? Contact us and we will make it! How durable are different textiles? Click here to find out! Suitable for Promotion equipment for businesses (shops / stores), services and products, events, tournaments, fairs / exhibitions, sponsors, etc. 18 different sizes from 2ft 8in x 6ft 7in - 80 x 200cm to 5ft x 16ft 5in - 150 x 500cm! If you only want to have your company logo on the vertical flag please send it to us (.AI, .EPS file). We provide a digital example for you for free! 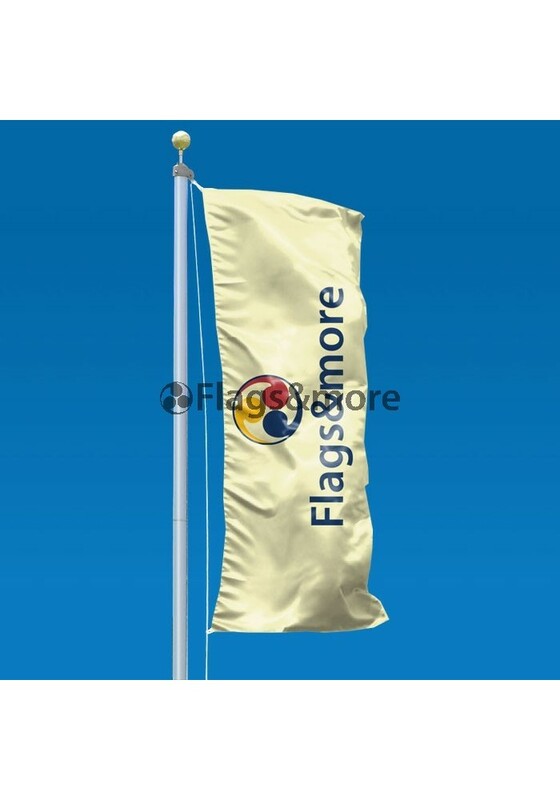 Our flag systems are manufactured according to our specifications. 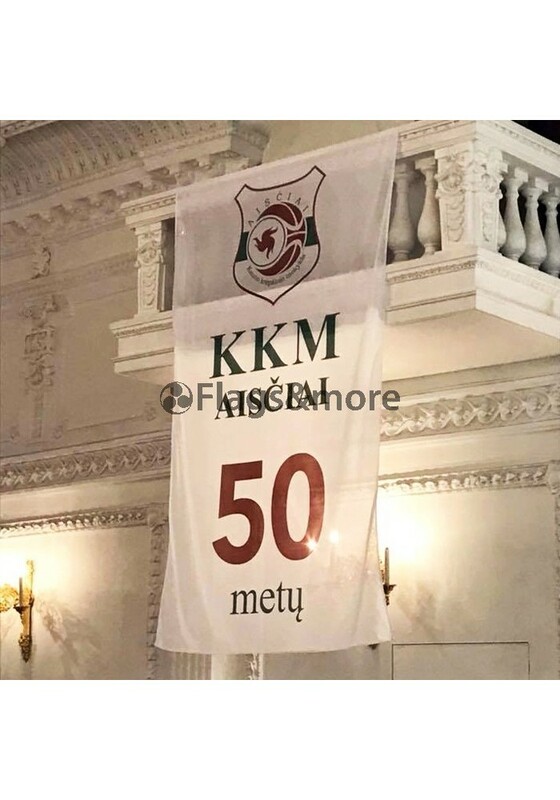 Materials, mechanical parts and bags of our flags are optimized by us, and although the look is the same, they differ significantly from other flag systems available on the market. 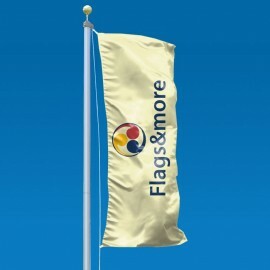 Regular quality and supply inspections guarantee top quality and an unbeatable price-performance ratio of our flags. Choose from our many different shapes and sizes. 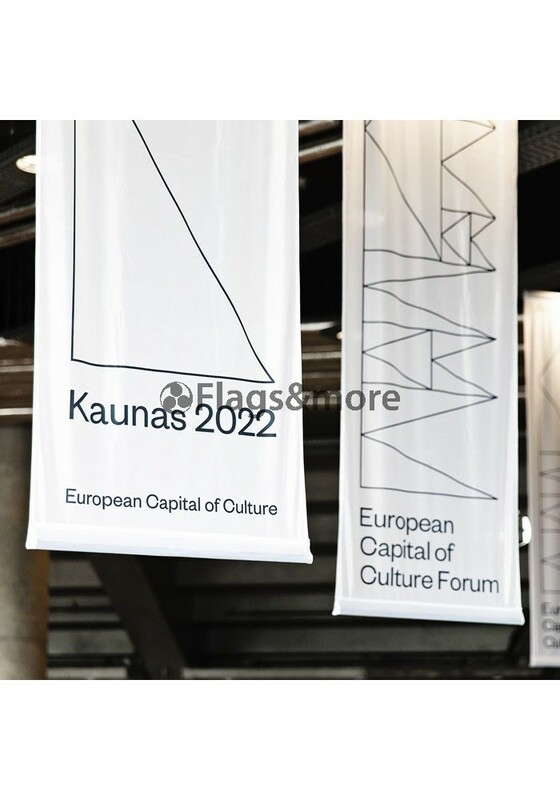 We print your own motif on our proven flag material 115 gram / m2 polyester (standard) and 120 gram / m2 polyester air textile (wind permeability, also known as polyester mesh material). With our extensive experience in digital large format printing, we achieve brilliant print results. We recommend you to wash your digital printed flag at 30 ° before the first use outdoors. Our online printed scrapings will not be washed before delivery, which may leave slight residues of the digital printing equipment in the cloth. This can lead in rare cases to a slight leakage of the colors in the first rain. Flags must be able to escape freely and should not rub on branches, masts, wires or walls. Exposure to the sun and weather influences the flag life. 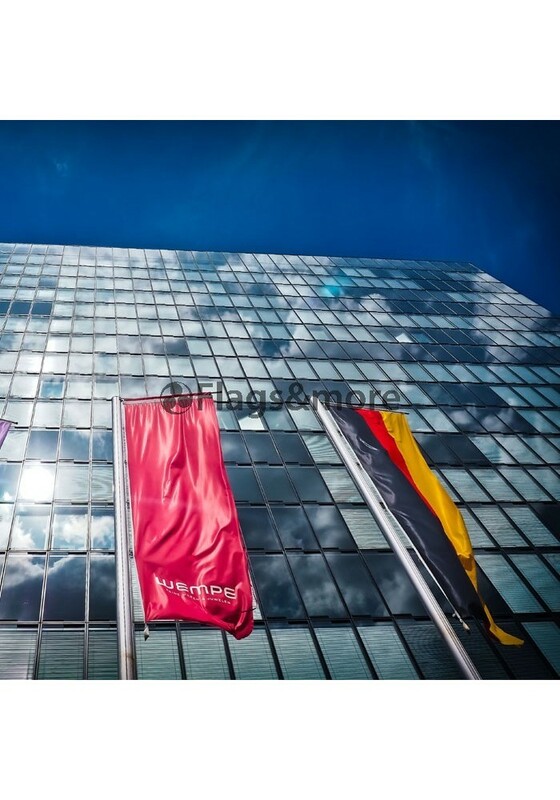 We recommend that you bring in your digital printed flags in bad weather. 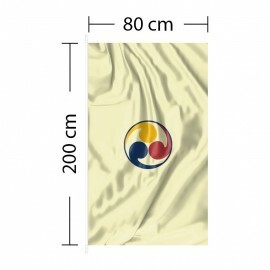 Every 2-3 months the flag should be washed at 30 ° C.
Please take care that you do not pull your flag over the floor with the covering, otherwise it can be very easy to damage the seam. 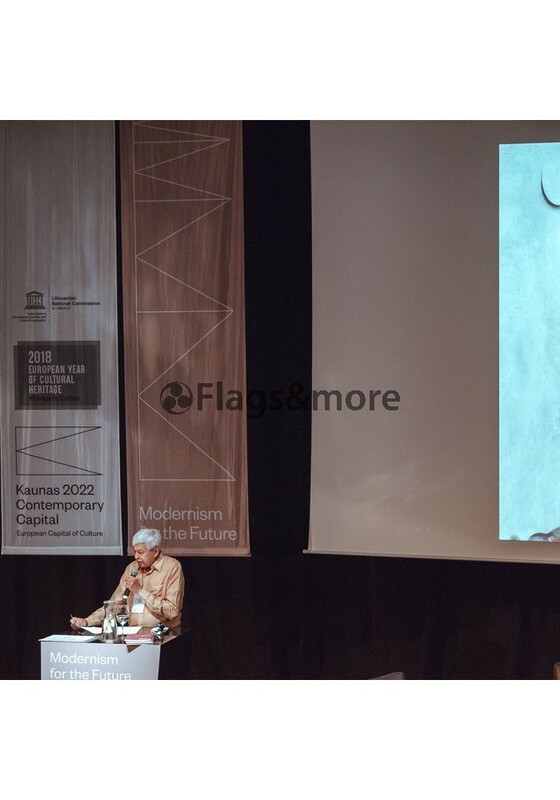 © 2019 Dauksta. All rights reserved.